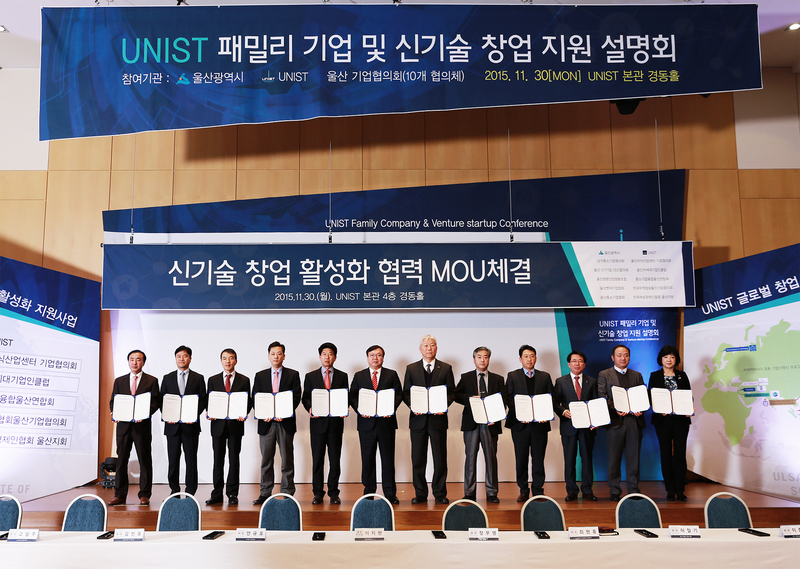 The UNIST Family Company & Venture Star-up Conference was held on the 30th of November, 2015 at UNIST. 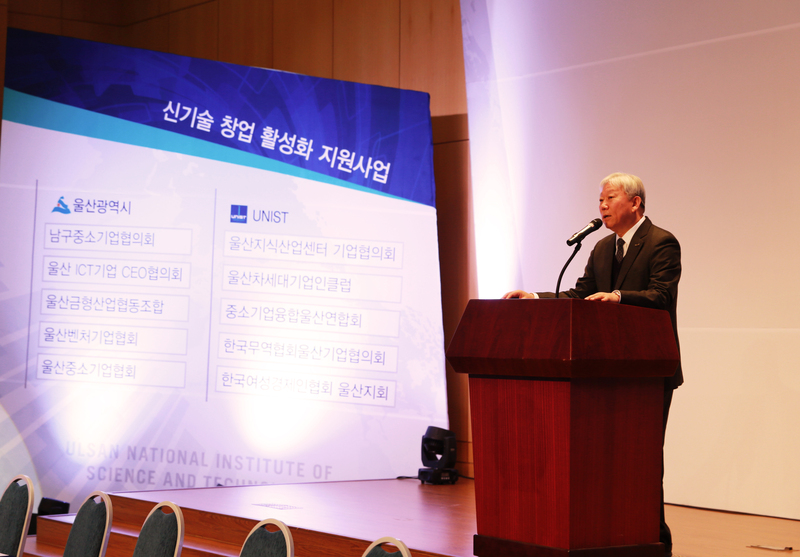 UNIST Family Company & Venture Start-up Conference, held on Nov. 30th, 2015. Business-university collaboration in R&D is one important mechanism intended to facilitate technological innovation. Indeed, collaborations and partnerships contribute to developing networks with academics to facilitate knowledge exchange and supporting the training and education of skilled scientists and researchers. 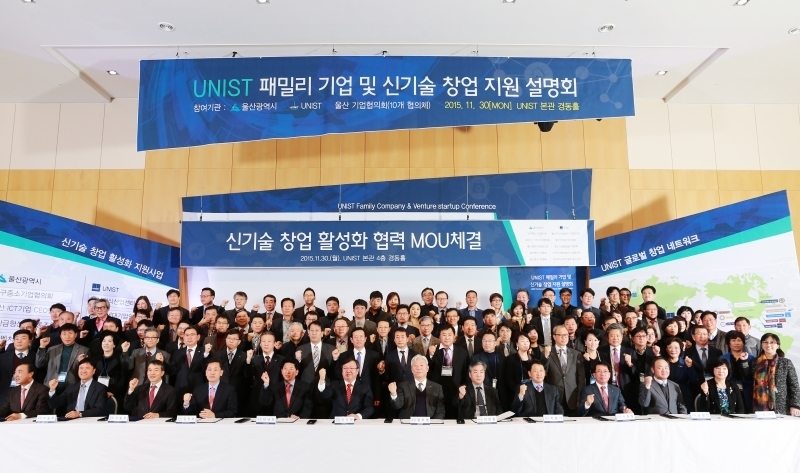 On November 30, UNIST held a conference, entitled ‘UNIST Family Company & Venture Start-up Conference‘ to help bring 150 representatives of small businesses, local partners, and the business sector together. The primary purpose of this event was to find ways to grow together with the local communities and business partners. Earlier that day, UNIST also signed a Memorandum of Understanding (MOU) with the City of Ulsan and the Ulsan Small & Medium Business Association to pledge mutual support for one another in the economic advancement and development through support for local businesses. UNIST provides a wide range of business support services that assist start-ups and small businesses. The ‘UNIST Family Company‘ is a management of technology consulting system that help solve technology issue that companies face today. The ‘UNI BIZ⁺ Platform’ is a business start-up support system for joint venture business creation. This is a system that not only to help researchers and local inventors with technology transfer, but also help them commercialize their discoveries through licensing, thereby opening its doors to foreign investment.